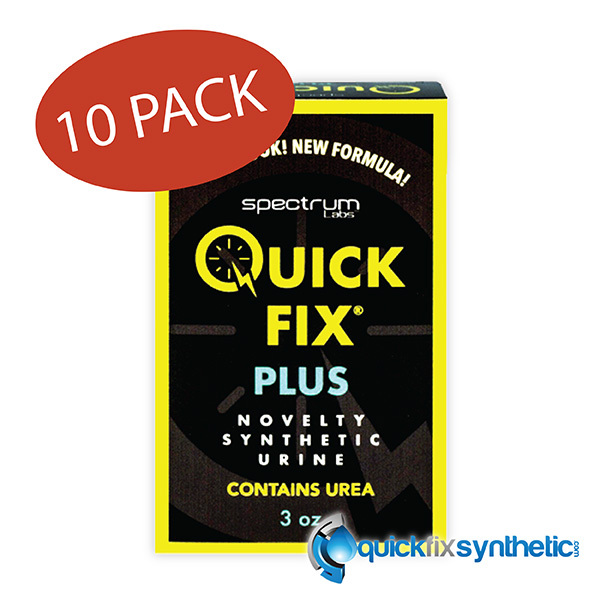 Quick Fix 6.1 synthetic urine is the ultimate laboratory grade synthetic urine available on the market today. With ten years of clinical research using Quick Fix 6.1 is the only choice one should make when choosing to buy fake urine. 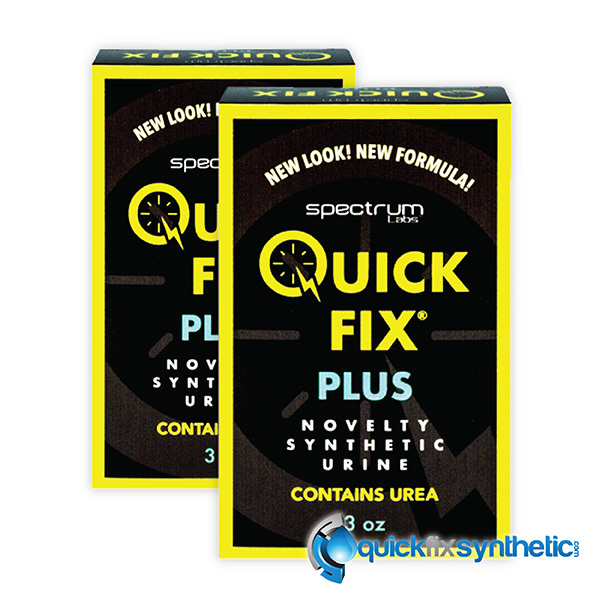 Instead of using normal human urine Spectrum Labs has designed The new Quick Fix 6.1 synthetic urine version a complete toxin free fake pee kit that provides its users a piece of mind. All synthetic urine kits are constructed in a laboratory environment to ensure the urine has proper ph balance, creatine levels, specific gravity, color and other human like characteristics. Each Quick Fix urine box is sold as a complete kit, we currently offer a 2oz and a 3oz plus size with the following box contents. 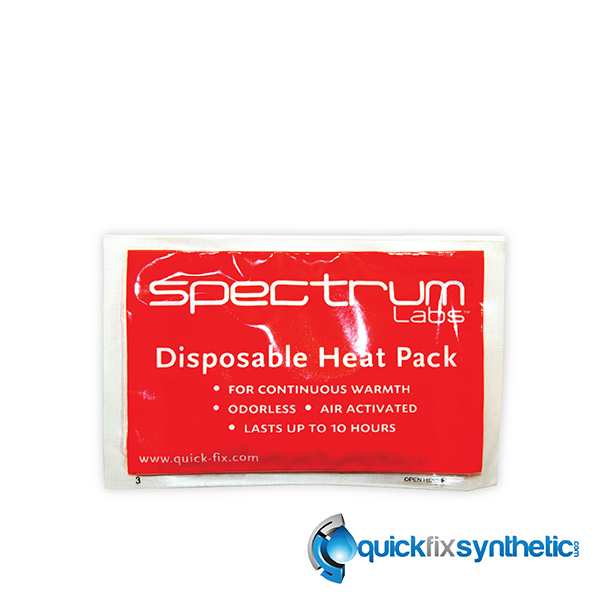 A 2oz or 3oz synthetic urine sample, Spectrum Labs heating pad, flip top pour cap, rubber band, attached temperature strip that reads between 90 and 100 degrees and complete instruction that include a batch number for understanding production and expatriation dates. Once this fake urine kit is warmed between 90 and 100 degrees in a microwave for up to 10 seconds it becomes suitable for use. Attach the heat pack to the urine bottle and keep it warm for up to 8 hours! 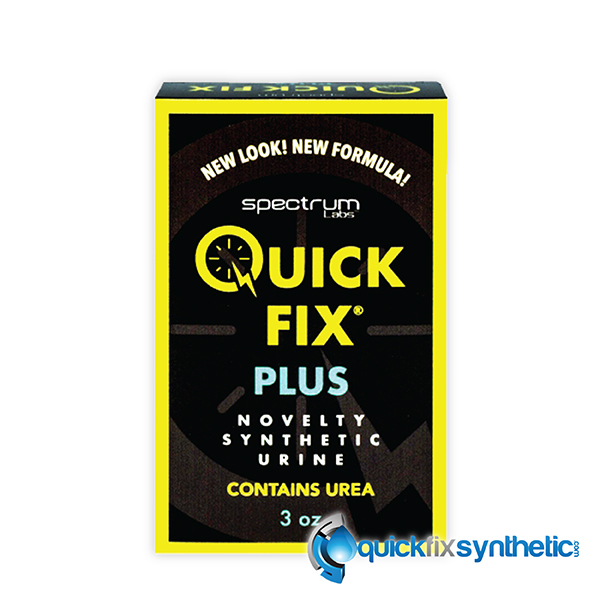 Quick Fix urine is the only line of synthetic urine that can be heated and cooled multiple times and gives this urine just another feature the competition cannot. Get your trusted Quickfix kit today! 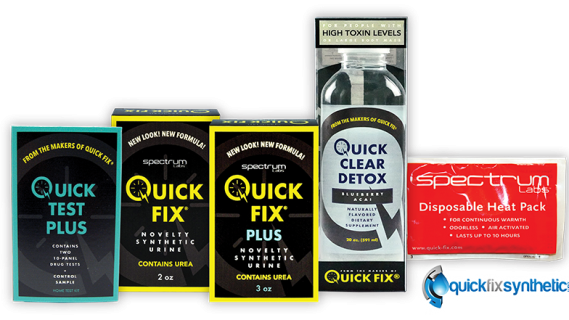 Here at Quickfixsynthetic.net we supply only the finest in synthetic urine needs with products direct from Spectrum Labs laboratories. With 24 hour customer support to buy urine we provide everyday people with combined solutions to pass there test and move forward. With every purchase or inquiry from us we ensure your process will be smooth discreet and professional from start to finish. We look forward to serving you with your fake urine questions, comments, and needs and we ensure your experience with a 200% fake pee money back guarantee.